GalleristNY reports that Matthew Barney's River of Fundament will appear at the Park Avenue Armory in New York City in 2014. There are few details at the moment (and the Armory has not confirmed the news) but it will apparently be a 6-hour "operatic film project" with a "huge" cast. 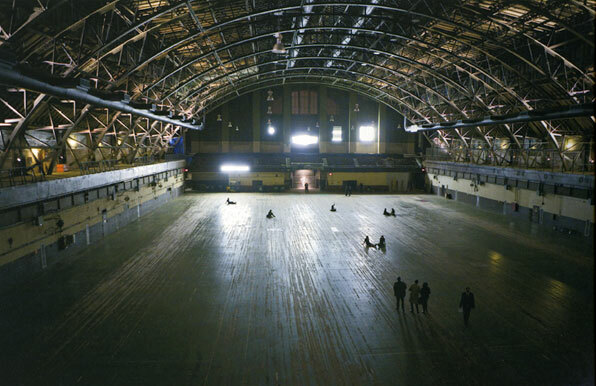 It is unclear whether there will be live performers or if the opera will unfold entirely on film, but there will undoubtedly be a sculptural installation in the Armory's massive drill hall. Cremaster Fanatic was able to sit in on a day of shooting at the River of Fundament set at the Brooklyn Navy Yard a few weeks ago. We've been too busy to post our photographs, but hope to have them online soon - keep watching this space!